Despite the fact that the Restaurant Da Michelangelo is pretty much around the corner of my neighbourhood, I somehow never managed to pay a visit to this particular place. And finally, in the context of a company event, it was time to do so. 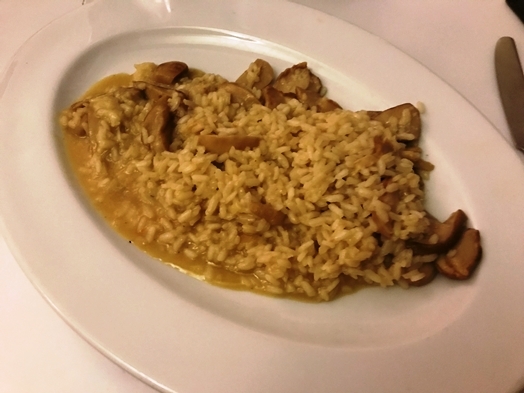 As a starter, I went for the “risotto ai funghi porcini” (CHF 19.50) which was perfectly cooked, the mushrooms were fresh and tasty. So quite a good start into the evening. 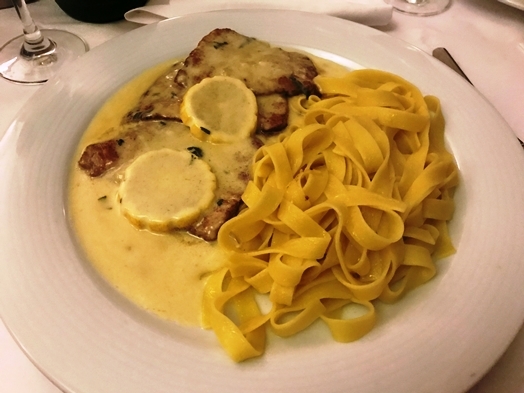 As a main, I went for the “scaloppine al limone” (CHF 36.50) with tagliatelle which was surprisingly good. The meat was thin, tender, yet tasty. And the pasta was cooked al dente as it should be. So all in all, it was a great dish. The place is simple yet friendly and inviting and the service does a good job – there are not too many waiters but they are relatively swift and friendly so you are okay with waiting for a bit.